What is your favorite memory from your time on East Campus? Though I cherish a diverse amount of favorite memories, my favorite are the ones spent as part of the agricultural fraternity, Alpha Gamma Rho and all the friends I made through there. What is your life like today? Life has changed quite a bit in the last year. After graduation I worked as an auctioneer and sales rep while also running my own farming and cattle operation. I'm still working on growing my cow calf herd in northeast Nebraska but have since moved to Boise, Idaho, to work for a vertically integrated, value-added beef cattle company called Agri Beef. I travel the entire Pacific Northwest and work as a feeder cattle procurement representative. 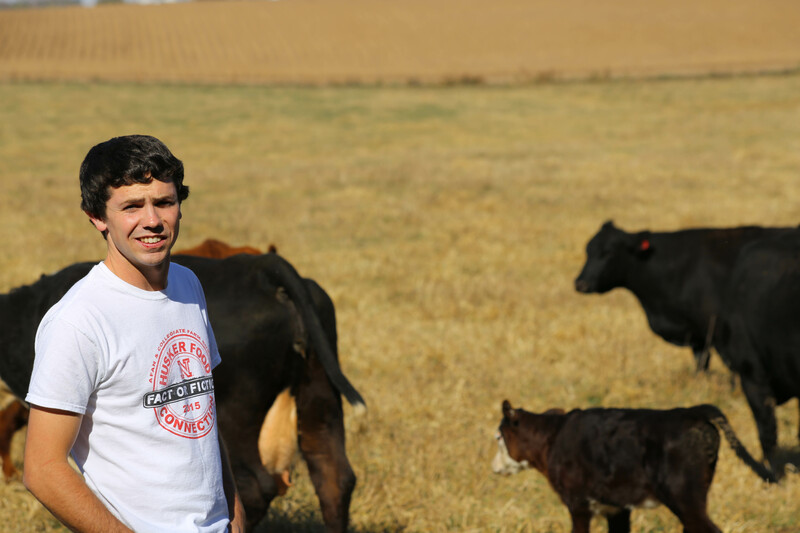 I always look forward to my trips back to Nebraska and the time spent on the family farm. What words of advice would you give to a current CASNR student? : Take up as many opportunities as you can while you're still young! There is something to offer for everyone. You never know what a random trip could bring or what joining a new program on campus could provide. Get to know people and take advantage of opportunities!